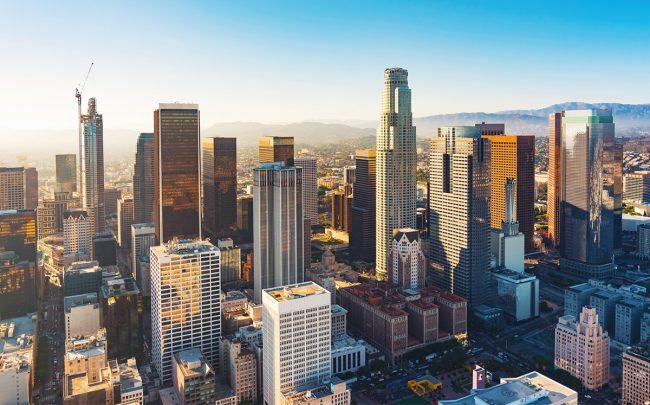 Business is booming in Greater Los Angeles, whose office market surpassed 201 million square feet of inventory in the first quarter of this year. That figure marks an near 30-percent jump since 2000, according to a first-quarter report from Cushman & Wakefield. Project conversions and renovations also hit a new peak over the first three months of the year, with 3.6 million square feet in the pipeline. While there were no completed office construction projects from January through March, more than 3.4 million square feet of development was in the works, Cushman reported. Just under half of that space has been preleased. The total amount in development is about 1 million square feet more than was reported at the end of 2018. New office leases have also surged, partly attributed to the rise of tech and media firms taking space, as well as the exploding co-working industry, according to the report. New leasing activity of 3.8 million square feet in the first quarter exceeded last year’s quarterly average. Co-working leasing activity accounted for 490,000 square feet in the first quarter, or 12.8 percent of all leasing activity. The majority was tied to West L.A. and Downtown, which recorded 263,000 square feet and 183,000 square feet respectively. One downside was in office sales. Nearly 2.1 million square feet of office sales were closed in the first quarter, below the 2018 quarterly average of 2.6 million square feet. The largest transaction was Skydance Media‘s $321 million acquisition a two-building, 279,000-square-foot office complex in Santa Monica. For the quarter in Greater L.A., asking monthly rent rose 1.2 percent from a year ago, to $3.36 per square foot. The first quarter was the eighth straight to record positive net absorption, with 307,700 square feet. A large part of the occupancy gains were in the fast-developing Arts District, where Warner Music Group’s parent company recently acquired the 257,000-square-foot Ford Factory building, after having taken a lease there. It had signed on as a tenant in 2016. Two years ago, the Greater L.A. office market’s vacancy rose to 17.1 percent after 2.1 million square feet of office space came online. Since then, more than 3 million square feet has been absorbed, dropping the vacancy rate down to 14.3 percent.